This week’s Monday Cover skater, Morris Wainwright, lofts an ollie in the deep at Pier Park. 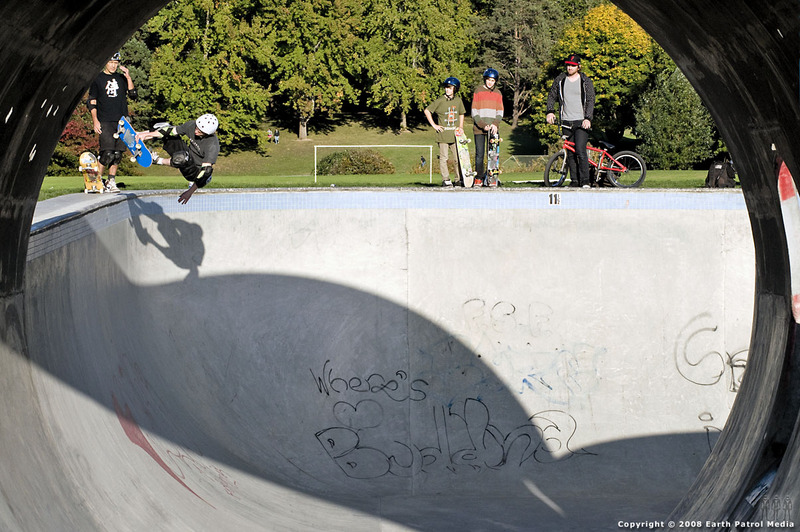 Morris made the three hour trip from Seattle to Portland to session with the locals. It’s obvious after watching Morris skate with Mike Swim, that there is a West Seattle style, so smooth. Check out some more pics of Morris getting his shred on after the turn. Right on Morris! If only I could be that smooth. Thanks grow-fur. That was a fun session. Thanks for the pics Rich! Pier Park rocks! Excuse me, I’m no expert but that looks hard to do. Is that trick photography or something? Morris is as smooth as they come!